Northampton is a town 52km north of Geraldton, in the Mid West region of Western Australia. 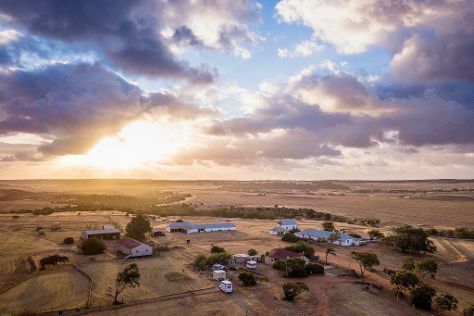 Get out of town with these interesting Northampton side-trips: Chapman Valley Historical Society Museum (in Nanson) and Our Lady of Mt Carmel Church (in Mullewa). There's still lots to do: contemplate the long history of Oakabella Homestead, Tea Rooms and Campground, explore and take pictures at Ninghan Park Farm, and make a trip to Elbenjo animal sanctuary. For where to stay, maps, traveler tips, and more tourist information, go to the Northampton itinerary builder website . Expect a daytime high around 24°C in August, and nighttime lows around 9°C. On the 22nd (Sun), you'll travel back home.